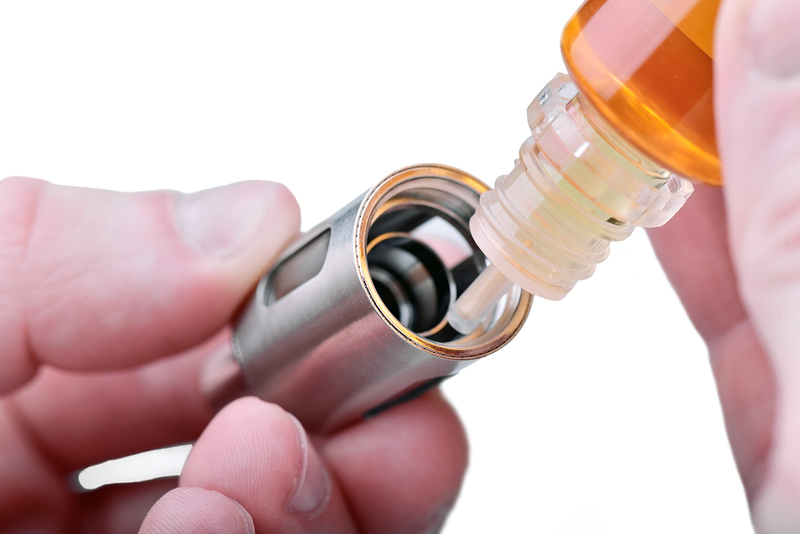 A leaking clearomiser is one of the most common problems faced by vapers. It is not something that only happens to those who have just started vaping. Even experienced vapers tend to suffer from this problem. Leaky clearomisers are pretty harmless. However, they can be a major annoyance for vapers. Here are a few tips that can prevent the clearomiser of your e-cigs from leaking. An improperly filled clearomiser is one of the leading causes of leaks. In an e-cig with a tank style atomizer, there will be a central tube that extends from the coil to the mouthpiece. If e-liquid enters this tube, it results in leakages that can be identified if gurgling sounds occur. In order to prevent the issue, the tank must be filled up properly. If the components of your e-cig are not tightened properly, it can lead to a leakage. There are many areas in the device where gaps can occur. There can be a gap between the coil and the atomizer base or between the atomizer base and the tank. These issues can be easily avoided with the proper precautions. When you are reattaching the components back together, make sure that all of them fit snugly without any gap whatsoever. Even if you have not removed the components while refilling such as the atomizer head, you should run a check on them. They can come loose when other parts are being dismantled. Cross threading is another issue that occurs when you are tightening the components. It also leads to leakages. In cross threading, the components are not sealed up properly as the threads on them do not line up correctly. In order to avoid cross threading, line up the components, turn them anti-clockwise till you hear a click and then screw them clockwise. O-rings are small rings made out rubber and they are placed in areas where two components meet and close to the threading. O-rings ensure that the seal between the parts are perfect and thereby reducing the possibility of leaks. However, O-rings can get damaged. The most common reason for the damage is over-tightening of the components. When screwing back the components, be firm but do not go overboard. Apart from this kind of damage, O-rings can degrade with use over time. It is also possible for them to move out of their position with use. Replace these faulty O-rings with new ones. Make sure that the new ones are of the same size. Sometimes, the leaks can be caused because of flooding. In such cases, the coil is unable to vaporize the amount of e-liquid available. As the e-liquid is unable to be vaporized, it has no choice but to start leaking. In order to avoid this scenario, simply increase the power setting of the coil so that it is able to vaporize more of the e-liquid. Another important fact to remember is that a change in pressure can lead to leaks. This can happen during an airplane ride. Therefore, empty the e-cig before boarding a plane. Remember that you can always buy quality e-liquids in Australia at our store. Shop with confidence!